Dr. Brian Higginson: Brian has a long association with Auroville. He first came here in 1983 after starting to read Sri Aurobindo and Sweet Mother’s books in 1965. 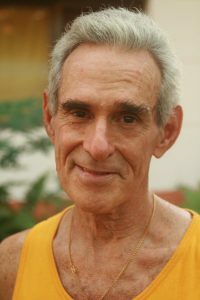 He has attempted to combine Kriya Yoga and the Integral Yoga for over 50 years. He grew up in Zimbabwe and went to study medicine at St Mary’s Hospital in London which after a merger became known as Imperial College. He qualified in 1970 and after 8 years mainly in specialist departments in various hospitals in the National Health Service, Brian eventually settled in Hastings where he was a general practitioner for 37 years. His special interests were in maternity care and natural childbirth having looked after about 40 deliveries per year, of which only a small number were referred to a consultant obstetrician. He also took an interest in ophthalmology (‘Eyes’), ENT (‘Ears’) and substance misuse and was responsible for all drug addicts in Hastings for a short time. Addictive behaviour covers many things including alcohol and gambling. Brian is very open to the value of alternative therapies and although he never obtained a qualification, he attended 2 courses at the Royal Homoeopathic Hospital in London. He treated some patients intermittently in general practice. 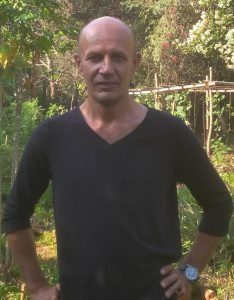 Dr. Igor Yafarov: Igor visited Auroville many times before he came to settle here with his family in 2011. He came for the ocean, the warmth of the people, the trees. And most importantly, his children were happy here. For Igor, his children are the light that makes him smile. Igor specialized in Urology after his training in General Medicine in Russia. He managed a private practice with a colleague but then he chose something other; he came to Auroville. He is trained in Ozone therapy and offers it on top of his practice in General medicine and minor surgery in Santé. 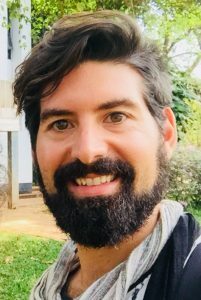 Andres Lokuta: Andres is an acupuncturist and naturopath, a Qi Gong practitioner, manual therapist and physiognomist with more than 18 years of experience. 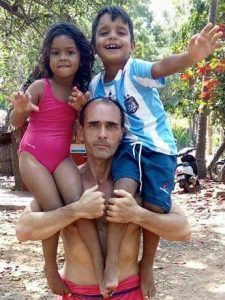 He and his family moved to Auroville in 2010, leaving behind the good life in Canary Islands, Spain, in search of higher aspirations. Andres’ passion centres around the 5 Pillars of Traditional Chinese Medicine (TCM), an ancient intregrative model of medicine, based on the middle meeting ground between the scientific and the esoteric. In Traditional Chinese Medicine, energetic imbalances, and hence ill health, occur from either excess, deficiency or stagnation of energy flow. A core idea behind this treatment is that it is meant to be educative – showing the patient that ill health is manageable and that they are responsible for their own good health, by becoming aware of the balances that need to be realigned. The 5 Pillars of Chinese Medicine include acupuncture, herbal remedies, diet, manual therapy and Qi Gong; and with this integral approach, Andres found himself fitting well with the vision and mission of the Auroville Institute for Integral Health. She went to Jamnagar (India) to study this knowledge in a more clinical and scholarly manner at the Gujarat Ayurved University with 2 Ayurvedic hospitals attached, doing her internship in departments such as general medicine, panchakarma, surgery, ENT, gynaecology, obstetrics, and paediatrics. After 6 years of study, Be came to Auroville to serve at Santé: Auroville Institute for Integral Health for consultations and research and in the forest in Pitchandikulam and Baraka to tune with the plants. She helps her patients to understand where the disunion occurred, which nature (Vata – principle of air in the body, Pitta – principle of fire, Kapha – principle of water and earth) creates the imbalance, the symptoms and eventually the diseases in the body and mind. Be’s personal focus is tuning with the plants, to understand their qualities, how their energy can be transmitted for healing without sacrificing their life. Ingo Torp: Ingo is a Heilpraktiker, which means he is an officially (German) recognised practitioner of Homoeopathy. Reading a book by George Vitholkas on Homoeopathy made many things fall into place and in 1979, Ingo started out on Homoeopathy. He completed his education in the West and his approach is still based on the school of George Vitholkas. Ingo was involved in the first Homoeopathy computer programs and was active in the Quality Control Program of German Homoeopaths. When Ingo first came to Auroville, he found it remarkable that so many residents had their own private homoeopathy kits. He felt he could best serve his new community by offering them guidance in what he knew best, but he wanted to also further his knowledge of health and healing, and hence he became an integral team member in Santé. Michael Zelnick: Michael Zelnick joined Auroville in 1978 after living in Pondicherry as a member of the Sri Aurobindo Ashram for ten years. A growing fascination with Homoeopathy led him to Bombay in 1994 where he made the acquaintance of several of the original lights of what came to be known in the homeopathic world as “The Bombay School” and he was able to study under their personal guidance during extended visits to Bombay during the following four years. 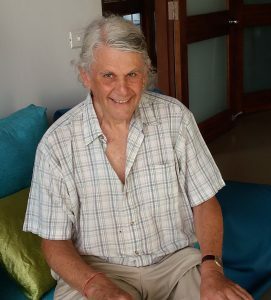 Michael has practiced homeopathy in Auroville since 1996. Paula Murphy is our resident nurse Midwife with 30 years of experience, including 7 years in home delivery followed by 20 years in hospitals and clinic settings. She began her professional career in the U.S.A. where she was a staff midwife, and subsequently director of the Midwifery service in the Department of Obstetrics and Gynaecology at Gundersen Health System in La Crosse, Wisconsin, USA. Her practice included antenatal, intra-partum, postpartum and lactation support and women’s overall gynaecological health care. Paula went on to establish an in-hospital birth center including water birth protocols and staff education and she developed group prenatal care based on a model that included physical assessment, education and support. 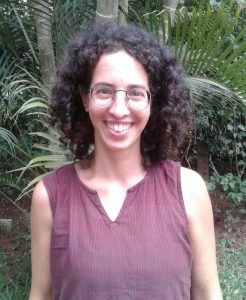 Since her arrival in Auroville, she has been an essential part of the Santé team, where she works as a Midwife and Women’s Health Nurse Practitioner, currently providing midwifery services, home birth care and gynaecological care for Aurovilian women. She also offers group sessions as a childbirth educator for home and hospital deliveries and is an active speaker at conferences on women’s reproductive health. Linda Grace Mosselman: Linda Grace was born in Indonesia, Surabaya-West Java but she grew up in Amsterdam, Netherlands. 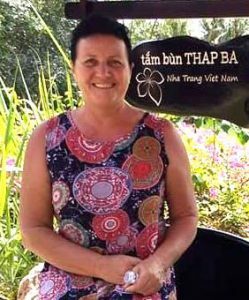 Linda Grace worked for 31 years in Health Care, of which 9 years were as a General Practitioner assistant at a medical clinic in West Almere, and for 22 years as a Medical Shiatsu therapist and Meridian Psychotherapist in her own clinic in the same city. Her patients were often referrals from health care providers in the allopathic field (GPs and other specialists like oncologists, internal medicine, psychologists, physiotherapists, social workers, midwives, as well as from health care providers in other complementary fields of alternative medicine e.g. acupuncturists, osteopaths, chiropractors etc. In August 2011, she decided to leave the Netherlands to do honorary voluntary work in Auroville, Tamil Nadu in South India. 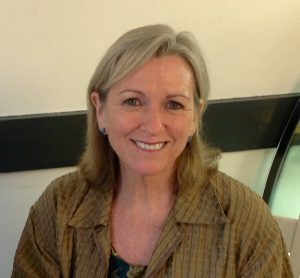 From September 2011 onwards, Linda Grace committed herself to Santé: Auroville Institute for Integral Health, where she offers Medical Shiatsu and Meridian Psychotherapy. She is one of the clinic’s 3 executives and has a key role in counselling, organisation, fund raising, and research and education. Denis has always been passionate about human behaviour. In the beginning this passion concerned what happened within himself, the origin of his thoughts and the relations between a thought, an emotion and behaviour. He has successfully transformed certain limiting personal behaviours, including an obsessive compulsive nature and addiction, and turned them into the possibility of creation and imagination. The understanding of his inner mechanics has led him to recognise them in others. He then searched for new tools to help others work through their issues by integrating a study of hypnosis and neurolinguistic programming (NLP). Denis continues to remain alert to and expand his knowledge base about discoveries of neuroscience, which explain the functioning of the brain, while a person lives a particular situation, sensation or emotion. Before joining the Santé team, for 8 years, Denis received patients in his private practice in Paris and in multidisciplinary groups together with other therapists. He also conducted animating workshops and conferences on the subject, and has created an original training on benevolence and behavioural innovations in relationships. Denis believes that “the one who knows can no longer pretend not to know” and “what is not expressed is more important than what is said.” His approach happens in a human environment that the teachings of the Mother and Sri Aurobindo support in their understanding of the human and his possibility of transformation. Juan Andrés: Juan Andrés is a clinical psychologist and psychotherapist from Chile with experience working as a coach and counsellor for groups applying organizational integrative psychology. In Santé, he would like to focus on integrative psychotherapy with teenagers, adults and couples. Even though Juan Andrés was born in the household of two psychotherapists, by the time he was in high school he felt a call to be of service from what at that time he believed was a broader professional field, therefore he entered medical school. From his first year of study, he started doing volunteer work with socially sensitive NGOs and in his second year, he started working with the International Federation of Medical Students’ Associations (IFMSA). Through this “think globally, act locally” work, Juan Andrés was trained and practiced preventive health work addressing conscious and positive behaviour change. After years of taking more responsibilities in this federation, he decided to explore his vocation beyond the medical arena. He continued assisting the IFMSA as a trainer and got further training working with Y-PEER, a peer education international organization under the umbrella of the United Nations Fund for Population Activities (UNFPA), while starting his psychological studies. Both his professional practice and his first years of work as a psychologist were done in the Chilean Institute of Integrative Psychotherapy. Recently Juan Andrés decided to leave his country with the idea of looking for a more sustainable and spiritual way of living. This is why he sold most of his belongings and took a one way ticket to Asia. It was in the middle of a year of travelling around the world, experiencing different social projects, when Auroville found him. Juan Andrés has seen in Santé a great opportunity to be of service through a vision that puts integral health in the hands of a cohesive team that through interdisciplinary work, and not confusing power dynamics, can give the best of themselves to the community while at the same time growing both as workers and as individuals. He complements his teachings of psychological theory from Sri Aurobindo’s Integral Yoga. He is a musician and plays drums, hand pan and is learning Indian tabla. As an attempt of combining music and therapy, he is also exploring the study of integral sound healing. Galina Rudenko: Galina has been involved in physiotherapy and manual treatment of the physical body for 35 years. Additional to clinical applications, she also acquired knowledge in spa culture (massage systems) and explored many techniques in natural healing and methods to enhance overall wellbeing. In an European Wellness Grand Prix, she received a second prize for her special massage with Siberian cedar cones. Galina’s main commitment in Santé is to help to relieve pain and stress for acute cases, something she finds is often useless without her patients’ active participation and their willingness to change bad habits. She also enjoys exploring local ingredients and methods and has developed a preventive, wellbeing massage program using spirulina masks and aromatherapy oils. Osnat Cohen Khallas: Physiotherapist, Bachelor of Physiotherapy at Tel Aviv University, Israel. Osnat sees the body as an instrument for enhancing wellbeing, using our ability to heal ourselves through the body. Throughout her life, she practiced different activities including swimming, yoga, Pilates, dance and improvisation in movement, Watsu and other water therapy methods. Osnat continues exploring her ability to move and looking for new ways to express herself through the body, including exploring the feeling we can get from a free and pleasant ability to move and the effect it has on wellbeing. In her work, she strives to offer others the appropriate support to feel better in their own bodies and experience pleasant ways of movement. She has experience in working with all ages: both children and adults, with a specialisation as a hydrotherapist for rehabilitation in the water. In addition, Osnat has taught Pilates and swimming. Natascha Laborde: Natascha graduated from the School of Therapeutic Shiatsu in Paris, under the direction of Bernard Bouheret, where she obtained two degrees in 2009 and 2012, for the practice of Shiatsu and Qi Gong. Therapeutic Shiatsu is a manual therapy. In Eastern traditions, touch is a natural gesture aimed at connecting the human to the universe, regulating energy rhythms and harmonizing the body. Natascha has been offering private therapeutic shiatsu full time for 7 years, and she gives weekly shiatsu classes and Qi Gong sessions as part of a health prevention program. She was drawn to Santé: Auroville Institute of Integral Health when she saw an opening to give her services in a healing environment, amongst fellow health care providers, who like her, were interested to expand their knowledge and learn from an integral exchange.